Each page or subdivision of the form, i.e. a collection of related fields or sections, should be created using a form folder. So, for example, a form containing Personal Data, Conference Data, and Payment sections would consist of three form folders under one folder named ABC Conference Registration. 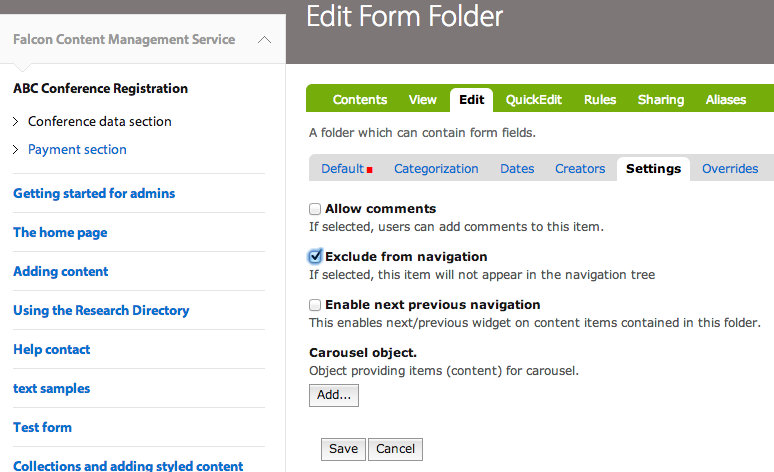 Next the latter pages/ form folders need to be excluded from the navigation, otherwise a user may inadvertently enter the process mid-form. Action Adapter Mailer option unchecked. 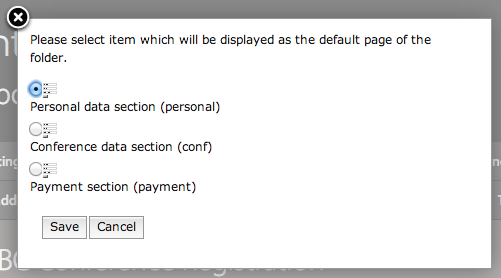 Thanks Page option set to 'None'. Action Adapter Mailer option checked. Thanks Page option set to a thanks page of your choice. Now it is time to add form fields to each form folder as required. On each subsequent 'page' (i.e. 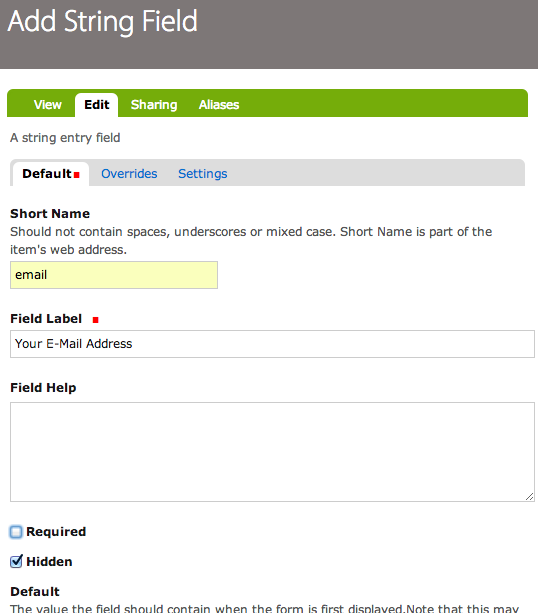 within each form folder), you will need to create hidden replica fields for those on the preceding page. In this way the data inputted into the original field gets transmitted through the pages to the final page with the Submit button. 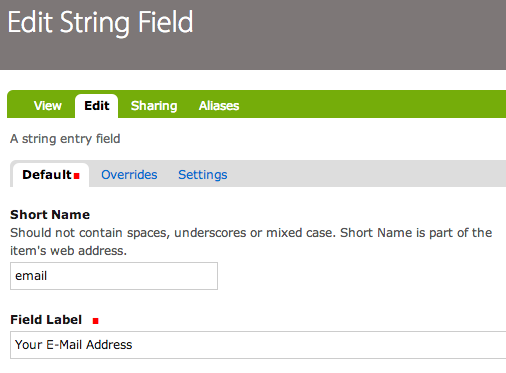 In the following screenshot image, you will see that the String Field 'Your E-Mail Address' (within the Personal Data form folder) has a Short Name of 'email'. Lastly, once all the form fields have been created and ordered onto the pages and the pages themselves placed in order, the configuration of the form output takes place using the last form folder.